As you know, I'm writing a book on synopsis-writing. Last week, I offered you the chance to have your synopsis put under the spotlight, with a view to a) blog-readers commenting construcively and b) possibly having your synopsis (and some comments) featured in the book as an exemplar. The first brave writer under the spotlight is Jackie Buxton, with Glass Houses, which she says is general fiction for adult readers. (She also says it's likely to appeal to women over 30 - I suggested she doesn't specify the age, but I do agree that it's more likely to be read by women. Sorry to those who object to that...) Jackie says that her problem is in making it succinct. I actually think she has made it relatively succinct (except in some details) and, in some ways, too succinct! You’ll see my comments in italics and brackets. Where I’ve crossed things out, those crossings out create the need to express the sentence differently but I am merely trying to give a sense of what detail we don’t need. A horde of reporters greets Tori as she emerges from hospital with blatant disabilities and scars. The press is camped out on her doorstep. Her business, Party People, has folded. [She becomes a damaged recluse. ]Nobody invites her to dinner and the furthest she strays from home is the café in Out Patients. When she is charged with the lesser offence of Driving Without Due Care and Attention, the family of the baby who died at the scene vow to sue. Etta and Tori eventually meet. Etta, too, has a story to tell. The pair bond, providing much needed emotional support for each other. [Add something more concrete.] Before a lunch date with Etta, Tori meets with her unpredictable step-father, GERALD. He is a serial womaniser, no longer married to her mother but still keen to be a part of the family. He blames Tori’s notoriety and new outspoken behaviour for the break-up of his latest relationship [this feels unlikely – find stronger motivation, or explain?] . Her disabilities force her to walk holding his arm. He is walking too fast. He pushes her in anger. She falls into the road and is hit by a car. Who the hell is Etta and what is her secret? Why should we care about Gerald? He’s a “serial womaniser” and appears only in order to kill the woman we’ve come to sympathise with. It doesn’t feel as though there’s enough about him before the climactic scene, and yet not enough after either. Who is the main character? We know why we should care about Tori but what about Etta? If she’s equally “main”, we need to know the part she plays; if she’s a secondary character, her role in relation to Tori seems so crucial that we should know her secret. There is sometimes too much detail (“Doug is pacing down the road towards her”) and yet this is a 103k novel, so what major plot elements have been omitted? The knack is not in making a long or complex plot seem simple but in telling it succinctly, which are too different things. For example, “after several episodes in which x realises that y…” can cover fifty pages in half a sentence. The key is not in telling every episode but in making it clear that something has happened, something meaty and important. Jackie, congratulations in getting this far. I would not have picked your synopsis if it was awful! There are some significant virtues: it reads quite elegantly and smoothly and is clearly expressed. I picked it because it had some examples of faults that could be identified and rectified. The main problem (I feel) is that it reads as being too thin. Assuming that you definitely have enough action and intrigue to fill 103k words, you need to give a sense of that. Readers - your comments! Please bear in mind the genre. It's not a thriller so don't demand thriller content. Also, remember that we are judging the synopsis, not the book itself - though there may be aspects that cross-over. Jackie, thank you! I'll let you know if I use it in the book and if you want to redraft your synopsis to show how you responded to our comments, that's great. Thanks so much, Nicola, I really appreciate your insight and the time taken on my synopsis. I'm so glad I submitted it to you as the questions you ask, I admit, fill me with a certain amount of horror as I have clearly not expressed the weight of the other characters, the dilemmas and even the sense and purpose of the book well enough. It's back to the drawing board to some extent but with your three specific questions in the summary as a starting point. I think they really get to the nub of what is wrong with this synopsis. I've cut great chunks of story line in an effort to keep the length down and you clearly show that I need to put less detail into what I do mention, to make room to put back in such things as Gerald's motivations and his complicated relationship with Tori, the reasons for Etta's fixation with Tori and why Tori's end is nothing short of tragic - killer or not. Off I trot to attempt to put it right! Thanks again for your invaluable help. Great to read this, Jackie. I agree with Nicola that what feels most out of place is Gerald's position in the synopsis. He's introduced very late given that he seems to be the lynchpin of the book's "second chance" conclusion. Is this later than it is in the book? Would an editor suggest, on reading the synopsis, giventhe centrality of Gerald and his fatal flaw (I'm guessing his flaw is his unforgiving nature, which is what comes back to roost when he needs forgiveness. To explain Nicola's comment about the unbelievability of losing his job owing to Tori's notoriety, I would have thought that earlier on in the book (and the synopsis) we should be drip-fed something of his back-to-basics unforgiving bile (if his position depends on being emotionally ruthless, that would be explanatory), so that when he needs forgiveness later on, that scene (to use a cinematic metaphor) is shot with much greater depth. I love the implications here about the role of the media in conditioning how we view people morally - I'd like to see that less implicit - creating more of a link between the early material about Tori's rise and the later material about Gerald (and I'd love to see the media more clealy implicated in his downfall on the lines outlined above, to create continuity and symmetry). It strikes me that alongside the media aspect, the main zoom lens you're using is the interplay between Tori and Etta and Gerald (for each of whom Tori is both a narrative and a moral vanishing point, through whom we understand their actions) to make a much larger point about how a human life is morally constructed within both a 24/7 media society and a world that is itself new. This is personal taste, I know, but I love books that examine identity in post-communist Europe, where everything is made new, everything is up for grabs - and it strikes me you have a wonderful opportunity to examine what that means, and the whole question of justice and reconciliation that hangs not just over modern Europe but over our individual lives. I guess waht I'm saying is bring these aspects to the fore. Jackie - hooray! I'm so glad that the problem is with the synopsis and not the book, and in that case I do think it's a perfect example of how a synopsis can make a book look inadequate when it isn't. I've also seen synopses that read really well and then the book *so* doesn't live up the it. You have an easier task! I'd be delighted to see your revised one (if you'd like to send it to me) so that I can put that in the book, too. You can I can perhaps bat it back and forth privately and when you've got it just right, I could maybe show it as an example of a great result? My deadline for writing it will be some time in December, but I don't want to hurry you. Dan - thanks so much for your valuable contributions. You are incredibly generous with your time on this blog and you should have a prize for going the extra mile in your detailed efforts to help other people. Have a virtual medal! This is a learning curve for me. I need to know what agents and publishers are looking for in a synopsis. Your synopsis hints at a gripping story, Jackie, but it seems as if the power of it lies in the choices the protags have to make, and how you express their pain and difficulties through their inner monologues and interactions. With Nicola's analysis, I guess you should be able to bring out the 'hook' of your proposition and align the synopsis more closely to your theme. That's very kind but it's more that this particularly appealed to me. Jackie, you are very brave, and I am the worst possible person to comment on synopses, as mine is truly, woefully bad :( I'm also technically quite rubbish, so apologies in advance if my comments seem clumsily phrased. As has already been mentioned, I think there is too much detail, and the emotional impact of the story suffers as a result. I do think this is more likely to be read by women, and I think there needs to be more of a connection with your main character(s?) from the outset to make agents think she/they character will reach out and grip your intended readership. The initial scene is a very dramatic one and I'd have liked some indication in the synopsis of the depth and range of emotions experienced here. Again, Tori's layers of guilt and anger in the aftermath of the accident didn't come through clearly enough for me, although they're obviously a major feature of your novel. Very best of luck with future versions of this. Jackie - your bravery deserves an award! What you have gifted me is not only the kindness & courage of your 'guinea-pig' status, but the weight of Nicola's critique. This will undoubtedly benefit many of her readers. As someone who is soon to tackle her own synopsis, my thanks to both of you. Sincere thanks to all for your considered thoughts and feedback. Writers are such a lovely, supportive bunch - even charity fundraising wasn't quite as warm and giving - I feel a blog post coming on! I'll reply to each separately but if I don't respond specifically to every point, please be assured that I will scrutinise all comments when I work on my revisions over the next few weeks. Thanks again, really appreciate it. Nicola, I'd love the opportunity of batting my revisions backwards and forwards with you, if you can bear it! I agree this is going to take me a while. It's tempting to re-visit my earlier four page synposes however, I think this could produce tired copy. It's probably better to start with a clean sheet and really think about what each character does for the story and make sure that this is said, in as few words as possible. Happy to have a December final deadline. Seriously, as you suggest, the question of 'judging a person by a single moment in extreme circumstances' is a central theme. Both Tori and Etta have had experience of how the media influence how that person and event be judged - from different perspectives - but is the media the chicken or the egg? People - readers, viewers - are very forthright in their opinions about Tori's actions and the punishment she should face, as are her former friends and relations, so is it any wonder the media run and run with this story? In Tori's case, the power of her subsequent actions and her relationships directs the media into a U-turn but not before the public has fallen in love with her policy of honesty and slowly but surely, taken her into their hearts. This isn’t an easy route and Tori’s husband is the price she has to pay for it. In Etta’s story, the fact that the media showered her with sympathy when she felt she really deserved the opposite, screws her up – until she meets Tori. Gerald appears in chapter three (so you're right, what WAS I thinking only introducing him in the final parm of the synopsis!) and is a character from Tori's former life (pre-accident) which she just can't shake. Tori does have a bearing on the break up of his latest relationship even though Gerald is entirely incapable of seeing how his own actions play a bigger role. Like Tori's initial 'moment of madness', Gerald has his own 'moment' when he pushes Tori through anger, but he only meant to give her a shove, not to push her into the road. At the end of the story it's his turn, how will he be judged by the media, will he have the strength of character to atone his behaviour or is he too egotistical to even try? I need to think how to phrase this theme better in the synopsis than simply asking questions at the end as actually, this is something to ponder when the last page is read – I hope! Finally, the interplay is between those three, Tori, Etta and Gerald but Tori’s mother is very influential too, as is Doug, Tori’s very reasonable and loving husband, who just can’t live in this new life that Tori’s been forced to create for herself (but actually really enjoys). So this is something I need to address in the synopsis too. Thanks Fiona, you've got it absolutely! I hope I can work this though with Nicola and that you approve of the revisions! Best of luck with yours. 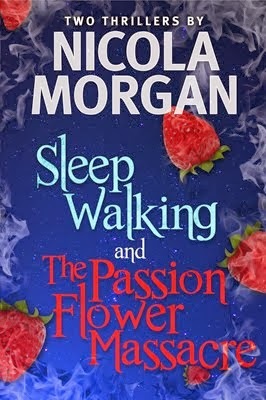 Thanks Margaret and yes, this novel hinges on you admiring/ liking (I love her!) Tori, even if you're cross with what she's done so that emotion has to be prevalent in the synopsis. This all seems so obvious now it's been pointed out... can I do it though?? Thanks Carol, that's really lovely of you to say but really, I've got a lot out of this already. I hope Nicola does get to use it in her book (and really hope I can produce a knock-em-dead revised synopsis to go alongside) so that she gets something personally out of helping me! Best of luck with your synopsis. It's not my favourite part of writing... I almost wonder if we should all write someone else's - much easier to see the wood from the trees. I do remember Simon Sterling, yes. Fascinating chap who lives in Japan as I remember. I think you may be right that it would need to be an adaptation, but it feels like it should be dramatised. In particular the ending feels like it's crying out for it - from what I gather it's left open-ended, in which case I can almost see the scene, a la Liaisons Dangereuses etc, with Gerald preparing to give a press conference, a moment inside his house as he straightens his tie, writes notes we can't see, glances in the mirror one last time, goes outside, cameras clatter away and he steps to the microphone and...cut. Found you from Talli's site. Wow, great job with the synopsis! They scare the bejeebers out of me. Now that is such an eye-opener in terms of what to look for in a synopsis! Learning from you all the time Nicola!!! And, bless you, it's free!!! Interesting plot and synopsis, and lots of more important stuff raised already I'm sure, but something that I didn't really pick up until the end is that -- if I'm reading it right -- the whole thing hinges on sending a text. May not be what's supposed to be in a synopsis but I kind of feel that right up front there should be specific reference to this small stupid act as the cause of what happened, and I'd be inclined to be graphic, or more detailed, in who was killed -- beyond saying it was a fatal accident. For me, that would set up the small act with the big consequences. This seems so awful, but human at the same time, and would make me want to know more. Neal, I take your point but I think the synopsis can make clear the devastating nature of what she's done through the telling of the story and I'm not sure that sending a text is any more compelling a cause than any of the other aspects of careless driving. But I agree that this imformation can usefully be included at some point - but no more fully than it already is. I think it's useful to say "fatal" at the start, and if necessary to specify further later, but I suggested cutting some of that detail as it felt unnecessary. Close call sometimes. So is it fair to say it's a kind of judgement call between content and style? I'm struggling to work out the balance between making a synopsis a proof of the structure as a viable vehicle for a compelling story, and it giving an idea of style and tone, which seems to me needs a slightly more expansive approach. It's a little over twice as long, but doesn't the first of these following sentences get more across? Or does it try and do too much? Tori's rushed text [to an important client] to say she's running late triggered a crash that killed a young couple and their baby, and left her physically and mentally scarred. Tori's careless driving caused a fatal accident that has also left her in hospital. Wouldn't the first set up for later that she has a busy business, that there's a family that might sue and a death likely to cause tabloid outrage and so save explanation later? Neal - I think every sentence is a judgement call! However, I think it's really important to say that making the "wrong" call on sentences such as you are thinking about is not going to lose the deal. As long as your synopsis does its job well enough, the difference between brilliant and almost brilliant is unimportant. I'd favour something between the two sentences you offer, to be honest. Yes, the first gives too much (imo) - eg "to say she's running late", and the second doesn't pack enough emotional punch (imo). But both tell the story and give the picture. You say "I'm struggling to work out the balance between making a synopsis a proof of the structure as a viable vehicle for a compelling story, and it giving an idea of style and tone, which seems to me needs a slightly more expansive approach." I think both are important but I dispute whether the second necessarily needs many/any more words! Thanks everyone for getting on board with this. I really appreciate your thoughts and have to reiterate Stu's comment to Nicola about the fact that this help is free. Yes! thank you, I can't quite believe my luck. Now it's down to business as I've had a quick play around with it already - enough to know it's not going to be a quick fix. My difficulty at this stage was actually explained well by Neil in his question about content versus style. I find myself fighting against saying, 'there was a text',(crude example) as we've all been brought up to 'show' this information rather than 'tell' it and even though this is a completely different document, I can't help wanting to say everything in as engaging manner as possible! In my head you have three chances to woo somebody into reading more; the covering letter, the synopsis and the copy and I find it hard not to want to show that (I hope) I can write in every one. I'm not saying this is right, it's just that this exercise has shown me that this is a large part of what's going on in my head - albeit sub-consciously. The funny thing is, I do freelance copywriting across a range of projects so really, I should know better!!! It's just so difficult when it's your baby though, isn't it?! Thanks again everyone and good luck with your own synopses!